Want to know more about the design of a vintage jewelry item? Or want to look at some classic jewelry designs? Jewelry design patents are a great source of information. 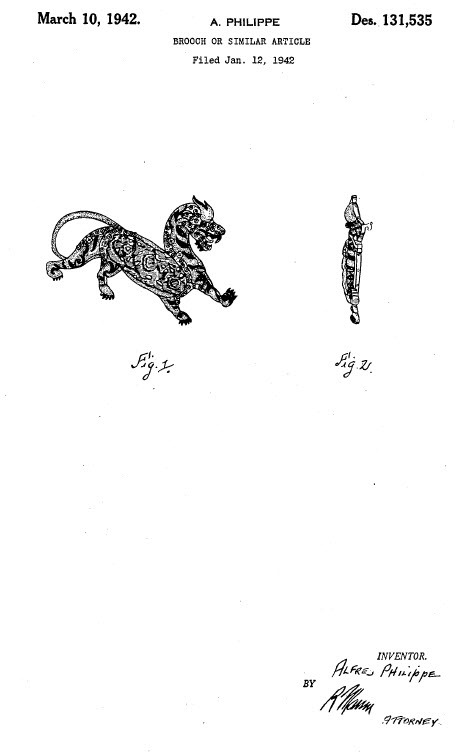 Design patents are used to protect the appearance of a manufactured item. Design patents pertain to the appearance of the item and protect the way an item looks. Individual sections of the Patent Search Information Site detail how to find patents using free resources on the Web. 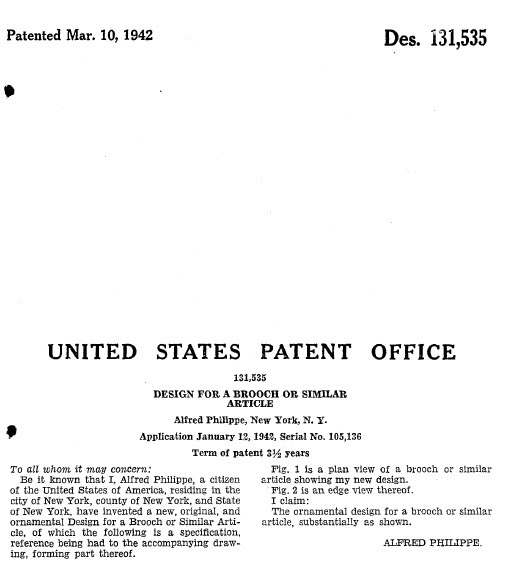 See especially the Patent Search Process page for an explanation of how to search for patents and the U.S Patent Databases to find links to free online patent databases. If you already know the patent number of the item, see How to Search by Patent Number to locate the full-text of the patent. Another helpful approach is to find web sitea where someone else has already done the research to locate jewelry patents. There are several sites that list the patents of jewelry designers or specific companies, especially for vintage jewelery. Some examples of these sites are listed below. Here are some of the most useful and interesting sites that have compiled directories of jewelry patents. In many cases, copies of the actual jewelry design patents are included on the sites. Note: use the quotes around the name of the item you are searching for to get more specific results.